Thanks to Scott for the picture! 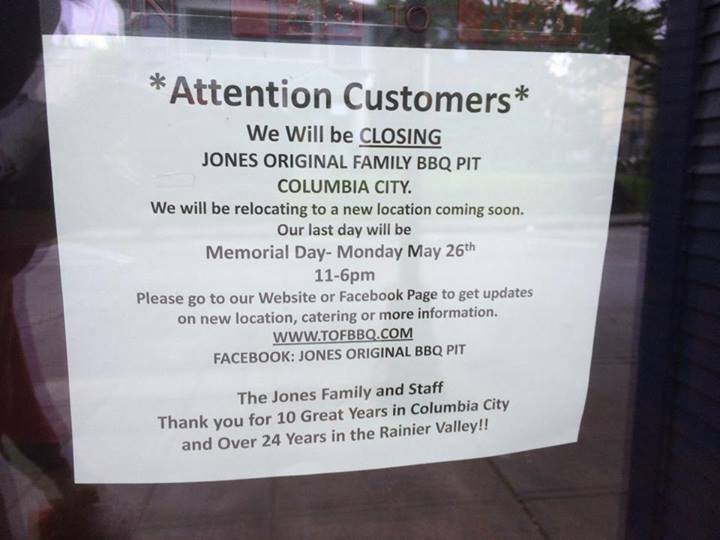 As we posted about back in April, Jones BBQ is unfortunately closing up shop in Columbia City. Today, Monday 5/26, is their last day in the neighborhood.